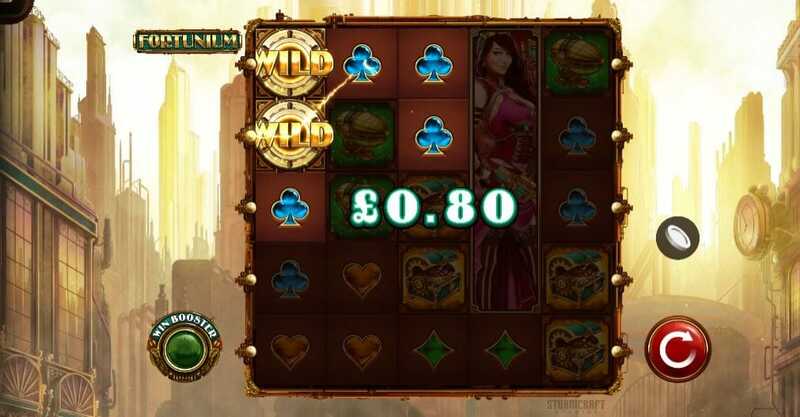 Get ready to be transported to a SteamPunk world with this 5 reel, 5 line Slots Games from the folks over at Microgaming. There are three fantastic bonus features to trigger and the game is available across the platforms so you can choose how to play. So grab some Victorian clothing, stick a top hat on and make sure you have a pocket watch, you could win big with Fortunium slots casino game. And with a glorious background of a blue sky, it really feels like you are in an airship amongst the clouds and keeps in well with the SteamPunk theme. Enjoy your game right away! Get the best out of our slot bonus spins before you play the game! Win Booster: you are in charge of activating this feature. It appears on the left-hand side of the slot and can only reveal wild or high pay-out symbols. 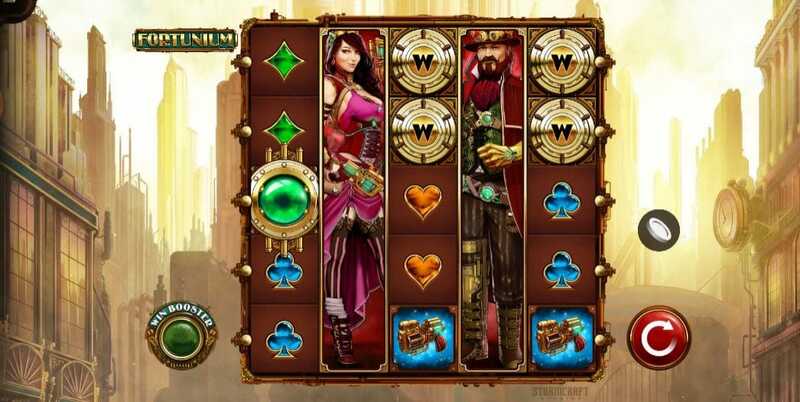 Free Spins: this can be triggered by getting 3, 4 or 5 scatter symbols anywhere on the reels. You could win up to 10 free spins. Mystery Symbols: this can be triggered by getting Mystery Symbols on the reels, they open up to revel wither high, low symbols or the wild.